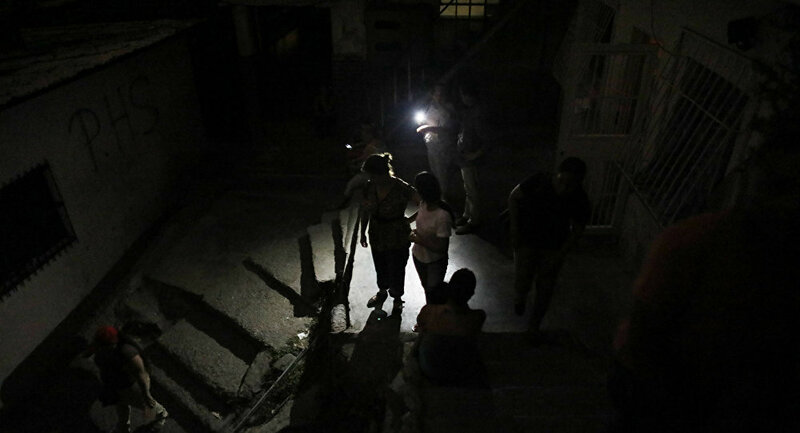 Venezuelan Communications Minister Jorge Rodriguez said that electricity supplies have been restored almost throughout the entire country after a blackout hit at least 16 of the country's 23 states. "Electricity has already been restored almost everywhere throughout the national territory," Rodriguez said Monday without elaborating. Venezuela's Communications Minister said the country's main hydroelectric dam has been victim of an attack, Reuters reports. Earlier a new major blackout has left at least 16 of Venezuela's 23 states without electricity, according to a source in Venezuelan police. "Currently, the capital region and the country's 16 states remain fully or partly without electricity," the source said. According to the source, the power outage has been registered at 1:30 p.m. local time (17:30 GMT). Earlier in the day, AFP reported that a new blackout had hit several regions in Venezuela, including much of Caracas. On 18 March another massive blackout hit various parts of the Venezuelan capital of Caracas and nearby localities.The blackout was reported mainly by the inhabitants of East Caracas, namely the districts of Altamira, La Urbina, El Cafetal, El Rosal, Los Palos Grandes, and others. On 7 March, a massive power outage swept through the majority of Venezuelan states, leaving the nation of more than 30 million people largely without access to basic amenities, including water and medical care at hospitals. Media reported about power outages in 21 out of 23 Venezuela's states. National electricity supplier Corpoelec insisted that the blackout was the result of sabotage at the major Guri hydroelectric power plant in the country's east. Maduro has pinned the blame for the crisis on the United States, while Washington has denied having a role in the blackout.